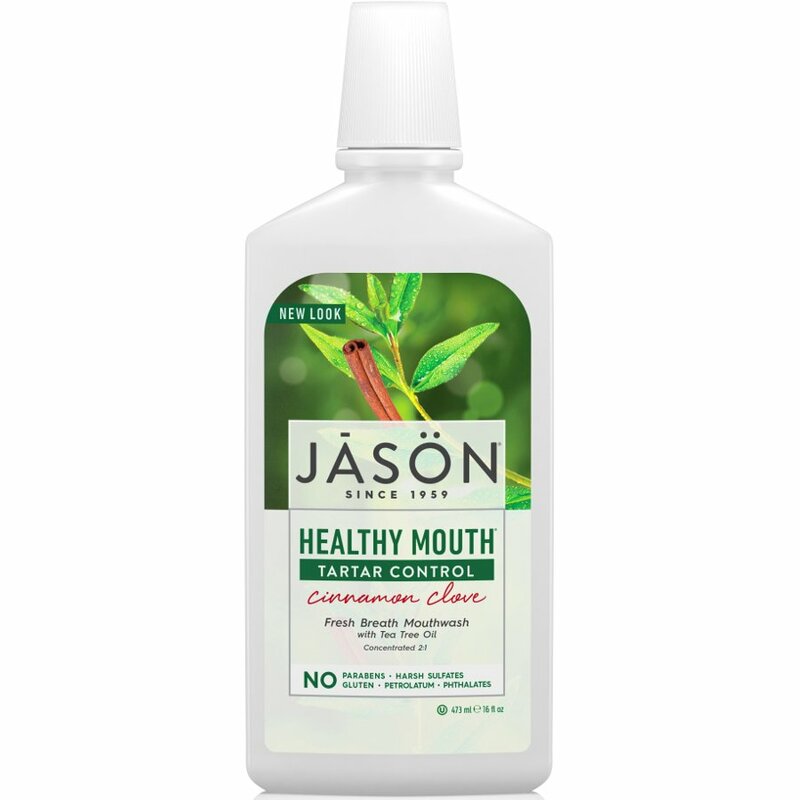 Jason's Healthy Mouth Clove and Cinnamon mouthwash controls tartar and freshens breath using an all natural formula. Tea Tree Oil with its natural antiseptic qualities, and Grapefruit Seed and Perilla Seed Extracts combine to help fight against sugar acids and acid forming bacteria and tartar build up. Also contains Aloe Vera Gel to soothe gum irritation. No alcohol or saccharin. 480ml. There are currently no questions to display about Jason Healthy Antiplaque & Tartar Control Mouthwash - 480ml.